I never got the chance to meet Brian Goodwin. 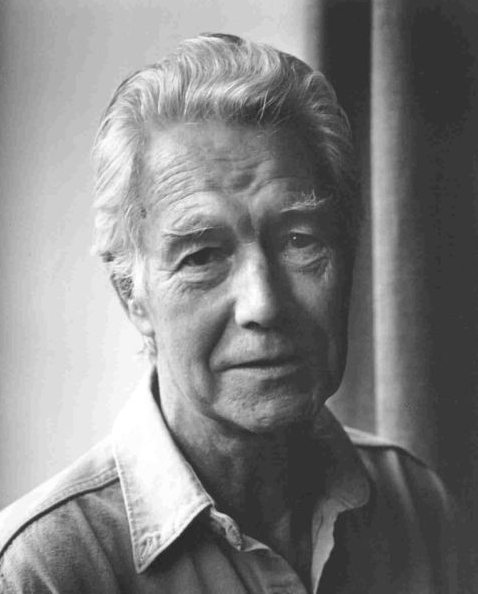 In 1996 after he “retired” from a long career in developmental biology, Brian came to Schumacher College where he would launch the unique Holistic Science MSc programme. I applied to the college in 2008, and had taken a couple of months off in the summer of 2009 to travel before starting my year-long studies. I still remember being shocked to receive an email from the college in an internet cafe in Cusco sadly announcing that Brian had passed away. On arriving at the college in October it was clear to me what a great impact Brian had made on all of those who knew him, and I was therefore delighted to hear that Floris Books had published this new collection in his honour, edited by David Lambert, Chris Chetland and Craig Millar. Brian was a biologist, mathematician and philosopher whose work in the field of complexity theory as noted by a number of contributors to the book is often little acknowledged, although Brian does feature in the excellent Complexity – Life at the Edge of Chaos by Roger Lewin. In one of the opening chapters, Claudio Stern recalls Brian’s early career. He studied Biology at McGill in Canada, but also being a gifted mathematician, then studied Mathematics as a Rhodes Scholar at Oxford before undertaking a PhD under the great developmental biologist, geneticist and polymath C.H. Waddington. Brian would later be recruited to the Developmental Biology department at Sussex University which was headed up by John Maynard Smith. Since the genetic programme is supposed to determine all properties of organisms including their morphology, we conclude that there are no constraints on possible morphologies. This is precisely the freedom allowed within historical explanations, because anything can happen by chance, and natural selection imposes no systematic order on stable or ‘successful’ morphologies. It is this view of organisms which has now led to serious difficulties in its attempts to explain organisation and morphology, and we must try to see where the approach goes wrong. This chapter by Darwin is then followed by a chapter on Form and Function by Darwinian Michael Rose, who while taking the opposite stance to Brian professionally, knew him as a friend and recognised his “great scientific talent and great moral fervour.” This chapter then leads into Mae-Wan Ho’s chapter on Epigenetics and Developmental Dynamics, an excellent summary of her many year’s work in this area, showing a more holistic approach to organic science. 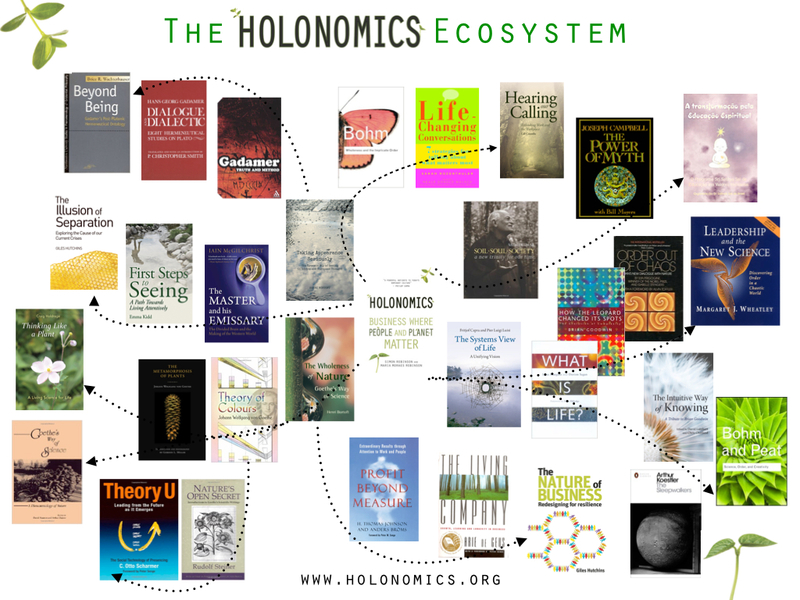 I created the Holonomics Ecosystem last year to help explain how our own book Holonomics: Business Where People and Planet Matter connects with the new sciences of complexity and chaos theory, and the ways in which these draw on conceptions of wholeness which are not new, but which can be traced back both via the quantum physics of great thinkers like Einstein and Bohm and also the biology of form of both Darwin and Goethe, the great poet who also developed an intuitive and phenomenological way of science which greatly influenced Brian, hence the subtitle of this new book. BG: I had, since an undergraduate at McGill, thought that the way to understand organisms is to actually understand the principles of organisation in terms of physics and mathematics. Now Goethe said that is not the way to understand organisms; you’ll understand them by observing them as dynamic wholes and you develop this capacity to have a dialogue with them; so you really begin to understand what they’re doing as subjects. Now that was radical. SH: It was very intuitive. BG: It’s utterly intuitive. Before coming to Schumacher College, Brian had been working on the development of a new programme based on Goethian Science, chaos and complexity theory and Gaia theory with Goethian Scientist Margaret Colquhoun. Another great friend of Brian, the late Goethian scholar, physicist and philosopher Henri Bortoft also contributed to the development of the MSc, as well as Stephan Harding and the founder of the college Satish Kumar, with many others contributing ideas I am sure. After having studied the MSc, Philip Frances was invited to teach the complexity components of the course following Brian’s passing in 2009, having previously worked with Brian developing a model of language in order to understand the “way words take on meaning according to how context resolves ambiguities creatively” and Philip writes about this work with Brian in a key chapter The Language of Living Processes. This is a central chapter which captures the very different way of thinking about living processes, in which Philip explains the influence of Goethe’s intuitive work with plants on Brian’s discoveries in biology. Brian saw into the language of signs by which an organism developed itself. It was at Schumacher College that Brian could truly explore symbolic understanding as a basic principle of how the organism optimises its own potential. Brian had opened to the secrets of a single celled organism or the working of the heart, to assert that the economy of mathematical description had something to say about the organisms themselves, in their act of assembling their parts to express the whole. For those who would like to explore the science of Brian more deeply, The Intuitive Way of Knowing contains a full bibliography of his work. Key initial works by Brian include How the Leopard Changed it Spots – The Evolution of Complexity (1994) and Signs of Life – How Complexity Pervades Biology written with Richard Solé (2000). For a more general overview of the pioneering work at Schumacher College, which is infused with the influence and inspiration of Brian’s philosophy, I recently reviewed Grow Small Think Beautiful – Ideas for a Sustainable World from Schumacher College and Henri Bortoft’s Taking Appearance Seriously should be explored as one of the best introductions to the intuitive way of knowing of Goethe. 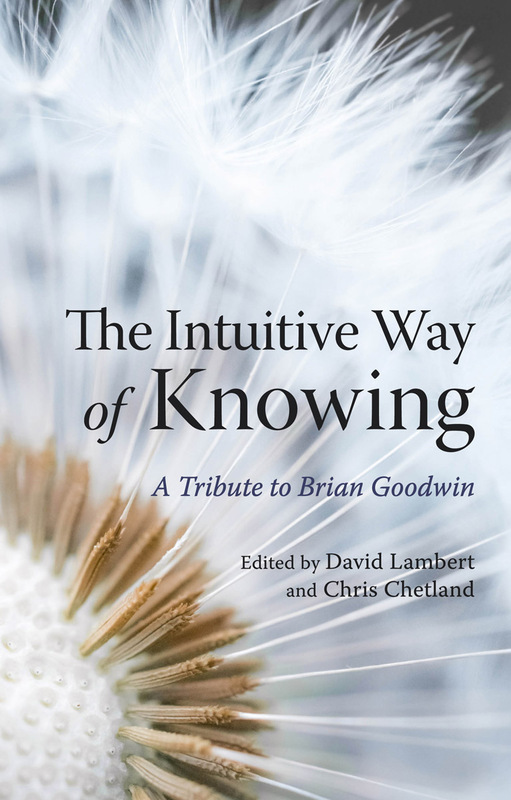 Not only is The Intuitive Way of Knowing a wonderful tribute to Brian for those who knew him and also for people like myself who have been greatly influenced by his astoundingly insightful, ground-breaking and also spiritual work (see for example Brian’s final book Nature’s Due – Healing Our Fragmented Culture), it is also an excellent introduction to the ways in which scientists such as Brian work with their faculties of intuition (not to be confused in this sense with feeling) in order to truly comprehend organisms and the meaning of living processes. Philip ends his chapter by reflecting on the shape of science to come. Brian challenged the classical biological dogma reducing biological function to the genetically-driven chemistry of cells. Instead he explored the mathematics of possibility. In inverting the conceptual model of biology that fixes existence in terms of what it has been in the past, the biology of signs points forward to actively realising a coherence that is targeted to the future.